Few days after the Motorola XT1055 was spotted on the AnTuTu benchmark site, another mysterious device, the Motorola XT1058, was seen at the FCC. According to reports from the FCC, the Motorola XT1058, which came in for certification earlier this week, has support for AT&T’s LTE band and even has support for NFC. 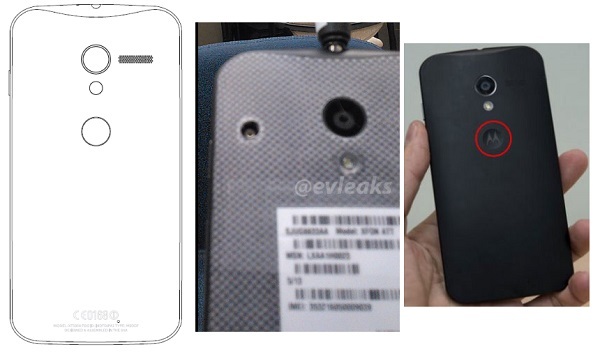 The documents available of the device from FCC show the positioning of the camera lens and the flash, which exactly matches with the leaked pictures of the alleged Motorola X Phone. Now it’s time to tickle your brains. The Motorola XT1058 in all respects matches the Motorola XT1055 which is said to have exact similar benchmark results as that of the Motorola Obake. Obake in Japanese describes a supernatural creature like a demon or a GHOST. Yes, we all know that Ghost is the codename of the Motorola X Phone. A case of MOTOception (Motorola Inception).